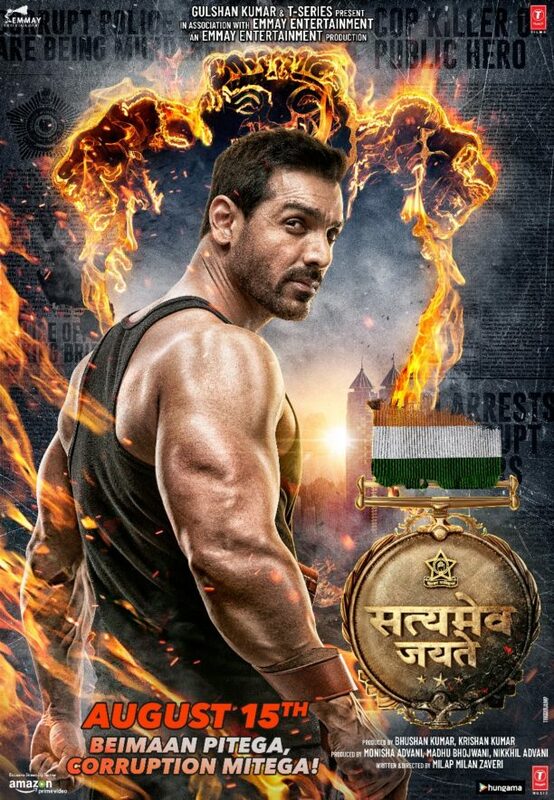 Starring John Abraham, Manoj Bajpayee, Aisha Kumar and Amruta Khanvilkar, the new action thriller Satyameva Jayate directed by Milap Milan Zaveri is ready to hit theaters this August. John Abraham is back doing what he does best… in an heart racing action thriller that will have you questioning right and wrong. In true vigilante movie style, Abraham launches on to the screen as a kind, caring and immensely moral character, he has loved and lost… and now wants the corrupt to pay. In a city of 200,000 policemen tasked with the safety of the people of Mumbai, a significant number don’t necessarily have the “cleanest” of vardis (uniforms). When four such ‘dirty’ police inspectors are burnt alive in a series of merciless killings, the entire police force is rocked with terror. The media is looking for answers. The public is on the fence over these killings. 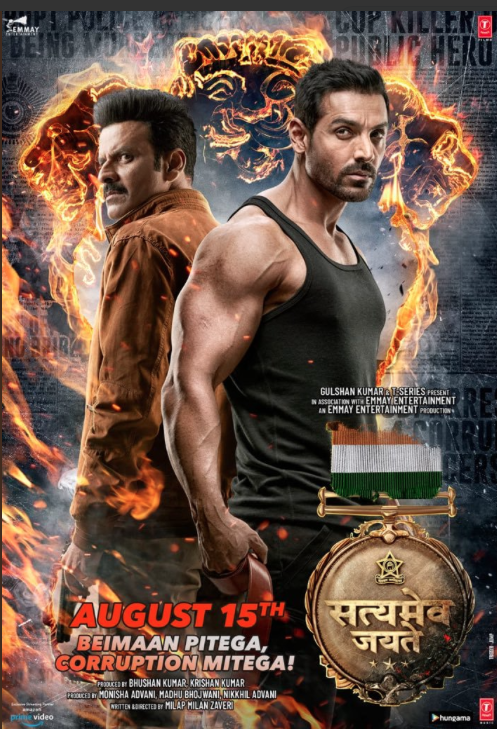 These crimes reflect Vir (John Abraham) as a person. Bold, Calculating, and Unapologetic. He’s not scared of killing, or dying. It was clear that he had an agenda. A reason, a drive behind these deaths and he was far from done. Fearing the next attack, the Commissioner calls upon one of their best bet to catch Vir. DCP Shivansh (Manoj Bajpayee) is what a proper policeman looks like. Strong, Courageous, Patriotic and most importantly, “Clean.” And of course, he’s the best at what he does. What follows is a succession of events that will test his Probity to the fullest. He is up against Vir, who is a vigilante and will stop at nothing to complete his mission. Will Vir be successful in concluding his twisted message? Or will Shivansh’s integrity and ethics become his biggest strength and Vir’s biggest weakness? The trailer to Satyameva Jayate is a power packed three-minute ride… reminding audiences what makes Abraham such a great action hero. Will Truth Triumph? We will find out when the film releases worldwide on 15th August! 16 queries in 0.535 seconds.